Wow what a turnout!!! Thank you neighbors. If you missed this one, stay tuned for next time. AND...thanks to all the awesome neighbors who thanked us as they drove by. 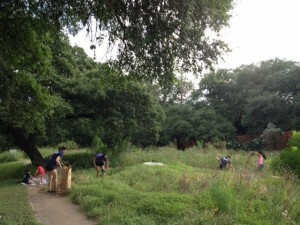 A big shout out to our wonderful volunteers who helped shape and tame the Brush Country Trailhead today! And Thank you: WNA Board members: John (and family), Chuck, Jennifer, and Karen. As well as Westcreek neighbors, Trudy and David. Do you have 30 minutes? an hour? a couple of hours? 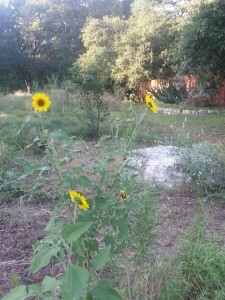 that you could spend helping us beautify the Brush Country Trailhead? It is a come-and-go event. Even showing up for a little bit would help us tremendously! We have already heard that some people from a local church may again come to help. Would love to see some Westcreek neighbors there as well. 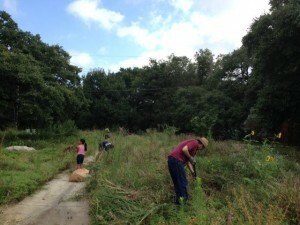 We plan on mowing (we'll handle that), weeding, trimming back dead stalks & laying cardboard down & mulching some areas. Could you RSVP? I'd like to supply cold water & snacks but need a head count. Things to bring: any gardening tools you have, hat, sunscreen, extra water is always a good idea. 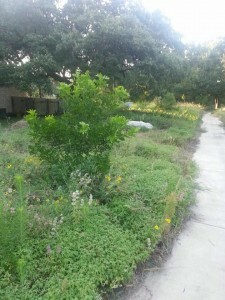 Did you know.... that the Westcreek Neighborhood Association worked with the City of Austin & got Westcreek its very own designated pocket park? 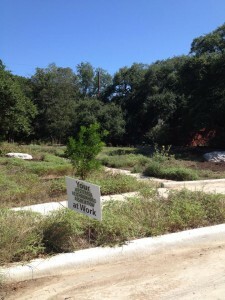 The new Westcreek neighborhood pocket park (Westcreek Greenway - MAP) is a parcel of land east of Cana Cove near the dead-end of Westcreek Drive. The forecast for next Saturday, March 7th is looking good for It's My Park Day! 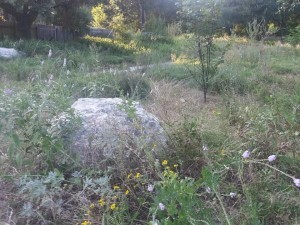 Westcreek Pocket Park!!! !